The bay area real estate market can be a volatile one, one minute we’re seeing prices rise week after week only to suddenly halt at a moments notice. Selling your home while buying a new one in this kind of environment can be a huge risk if approached incorrectly. In order to help you make an informed decision I have outlined each possibility below complete with their corresponding pro’s and con’s. Read them over to decide which ones will work best for you. If you follow this advice, you should be able to create a plan to help the whole process go smoothly. If this option sounds too good to be true it’s because, for the most part, it is. Home sale contingencies are not widely accepted by sellers or listing agents. Sellers don’t like them because they offer little-to-no reassurance that the buyer will actually be able to purchase the home. You are free to include this clause in any offers you make, but be aware that it could negatively impact the strength of your offer. In many cases the seller may expect a higher price from a contingent sale offer. Seller’s are more likely to accept this type of offer if their home has been sitting on the market for a long duration. A bridge loan is another option to help you deal with the financial strain of buying a new house before you sell your old one. Bridge loans are short-term loans that allow you to pay off the mortgage on your own home so you don’t have to carry that cost. Then, when your home sells, you’d use the proceeds from the sale to pay off the bridge loans. After your home sells, you would then use the proceeds to pay off the bridge loans. That being said, bridge loans are a gamble. These loans often come with strict terms and high interest rates. In order for a bridge loan to work, both settlements need to go off without a hitch. Even if there is a problem with the settlement of your old home, you’ll still be responsible for finding the funds to pay back the loan on time. Holding two properties at the same time will undoubtedly be a stretch financially. However, this option allows you to submit offers on new homes without having to worry about using a home sale contingency or taking out a new loan. When you buy before you sell you never know exactly the price that your home will sell for, it may sell for much less than what you predicted if the market changes or your expectations were higher than what the market could provide. This result could put a financial burden on you if you were relying on proceeds from the sale to remodel or pay back loans you acquired to make the move-up purchase. A rent-back contingency is exactly what it sounds like. This provision allows you to rent your home back from the buyer-now-owner from the time of closing until you’re ready to move. 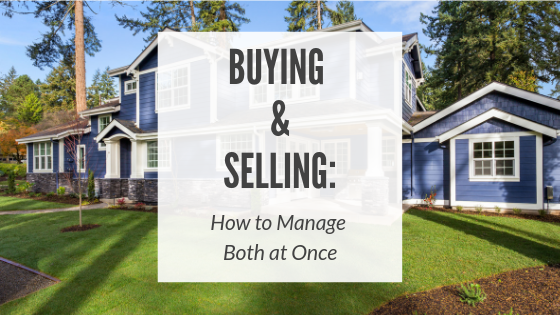 Keep in mind, however, that in this scenario, you’re essentially asking your buyer for a favor. They don’t have to agree to rent the home back to you. After all, they may be organizing a buying-and-selling plan of their own. Still, it never hurts to ask. Also, keep in mind that in general the maximum amount of time that you can rent back for would be 60 days due to the buyer’s lender conditions. If all else fails, you can always find a short-term rental to hold you over until it’s time to move into your new home. The biggest issue here is, of course, the cost. Short-term rentals are often more expensive than their year-long counterparts. Additionally, you may have to invest in some storage options to hold your excess belongings until it’s time to move. While this is the safest option for sellers, it is generally the most inconvenient. Sellers benefit from knowing what they netted on the home sale and are now in a stronger position to shop for homes on the market without having to rely on contingent offers. This option can become risky in a heated real estate market where prices are appreciating rapidly. After you sell you may find yourself in a position of having to buy a home immediately and compromising on the very aspects that motivated you to move in the first place. There are no perfect solutions to this dilemma and as a result, many homeowners choose to stay where they are at. However, consulting with a professional will help you to better understand the market as well as the risks involved in order to formulate the plan that works best for you. 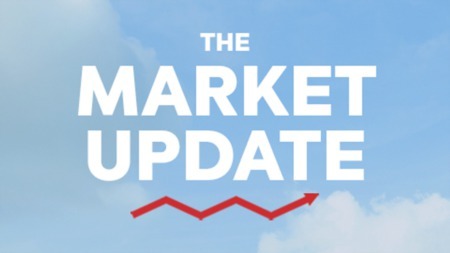 For the first time in several years, our market is poised to help home sellers move-up. Call today to help you develop a move-up plan that works best for you.